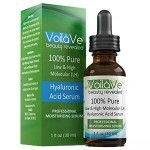 Terry Hyaluronic Face Glow Review: Is This The Correct Choice For You? Terry Hyaluronic Face Glow is a highly unique foundation alternative. It is a tinted face filler with mineral micro-pigments that blend out to become translucent while blurring the skin and leaving behind matifying prisms. 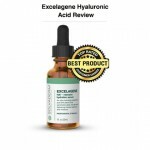 It uses the power of hyaluronic acid, which is a humectant that locks moisture into fine lines, filling out the skin and leaving it smooth and flawless looking. The company claims that this product will blur the skin for a flawless, airbrushed finish that looks like your natural skin. “By Terry” is a luxury skincare and beauty brand that provides beauty collections that target aging. They also create high quality makeup products. 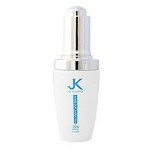 To use this product, apply the cream to your face as you would a makeup primer. You can use it by itself like a tinted moisturizer or as a makeup base under foundation. 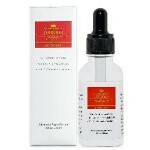 Terry Hyaluronic Face Glow does not have an official website page, as the manufacturer no longer sells it. The company has made big claims about this product, but no documentation backing their claims of the product’s effectiveness is readily supplied. It’s a little unclear how this product is supposed to work. 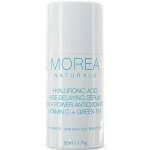 It seems to mainly rely on moisturizing ingredients like hyaluronic acid to fill in fine lines and smooth out the skin. Terry Hyaluronic Face Glow allegedly contains micro-pigments that blend out translucent so that it acts like a foundation, blurring out your imperfections, but still looks like your natural skin. You can currently only find this product through Amazon. There are many makeup primers available on the market, so please consider all options before making a purchase. As the manufacturer no longer sells this product, their guarantee policy no longer applies. You will be subject to Amazon’s return policy for this product if you are dissatisfied.